First a mini-history lesson: Lilianfels Resort and Spa was originally owned by Sir Fredrick Darley, an Irishman who arrived in Australia in 1862 and was knighted in 1887 after serving five times as Lieutenant Governor of New South Wales. In 1888, Sir Darley and his wife Lucy wisely purchased 11 acres of prime real estate adjacent to Echo Point, in the Upper Blue Mountains village of Katoomba. The Darleys then commissioned architect Varney Parkes (son of Henry) to design a summer residence for their family. Built in 1889, the charming bungalow was named for Lilian, one of the couple's seven children, who died of tuberculosis at the tender age of 22. The word 'Fels' is German for 'high land'. 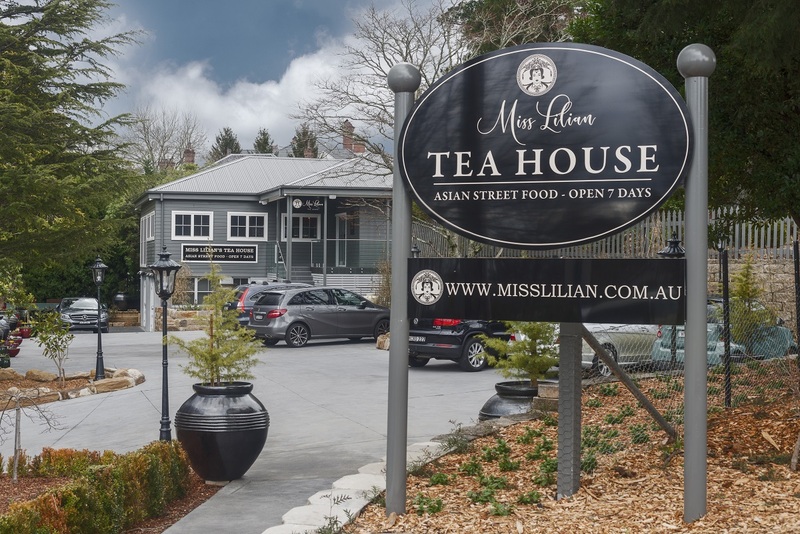 Knowing this sad fact adds poignancy to my experience at Miss Lilian Tea House, which overlooks the original bungalow (home to the renowned Darley's Restaurant) and is a genuine breath of fresh air. 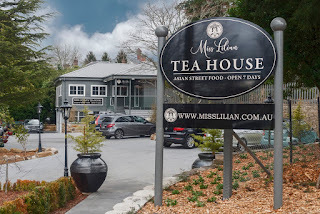 Sipping on a cup of soothing blossoming tea (White Tea Camellia Mango, to be precise), I imagine the spirit of Miss Lilian wafting through the property's manicured gardens, inhaling the heady mix of eucalyptus and roses. I'm brought back into the room by the equally heady mix of aromas delivered to our table. 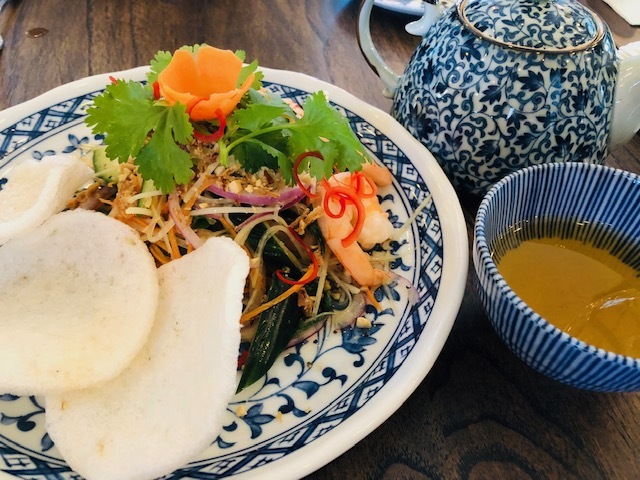 Utilising local produce, the menu is inspired by 'authentic Asian comfort food' – steamed dumplings, spring rolls, pho, laksa and wonton noodles all make a welcome appearance. Sharing was the obvious way to go for our group of 10, and the standout dishes for me were the ultra-fresh Prawn & Papaya Salad, $26; Vietnamese Pho with locally sourced Angus Beef tenderloin served rare, $17; and Mekong Chicken (turmeric-flavoured free-range chicken with a creamy coconut dressing), $20. 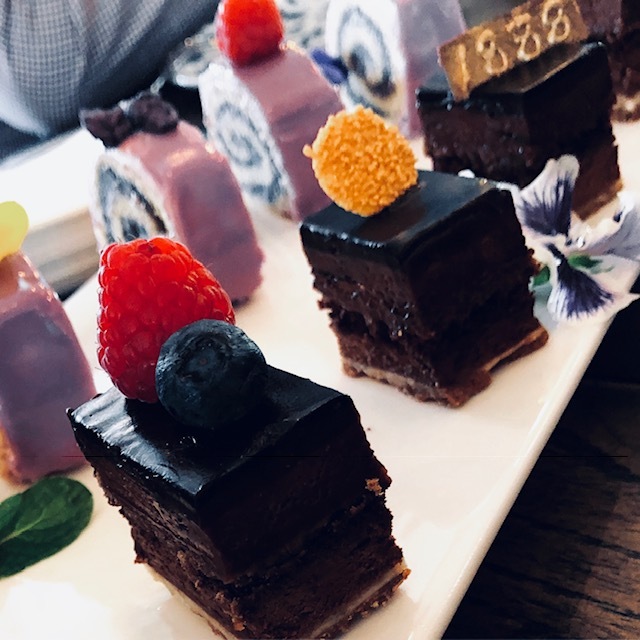 Equally flavour-filled was the Circa 1888 cake (Amande Praliné Blanc, 65% Madagascan Smoky Chocolate Mousse and Kacinkoa Cacao Glaze with a mini 24K gold '1888' topper), $15. The setting is as refreshing as the Ginger Punch mocktail I chose to go with lunch (the beverages menu also includes cocktails, wine, beer and cider). 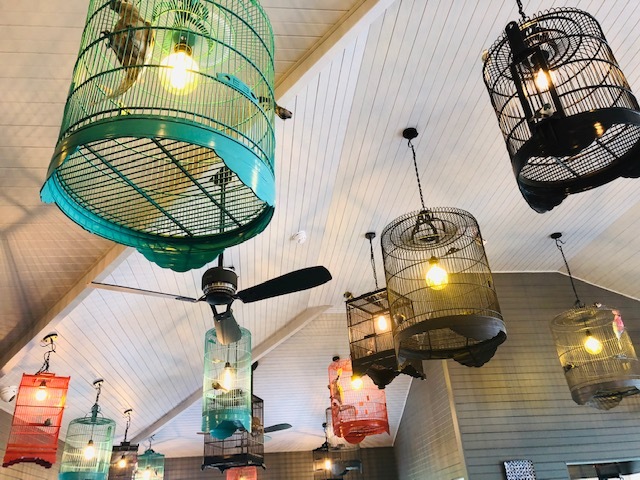 Coloured lanterns line the entrance and brightly painted antique birdcages add whimsy to the interior, which subtly blends oriental and modern features. The overall effect is cool and calming, much like a weekend visit to the Blue Mountains. A two-minute walk to Echo Point is the perfect end to a lovely lunch. Looking out over the Three Sisters, I think again of Miss Lilian, who is surely resting peacefully in this magnificent corner of the country.